In the state of Texas, the definition of a juvenile is any person older than ten years of age but under seventeen years of age. This is important, as juveniles are treated differently than adults in the legal system. Chiefly, the goal when it comes to penalties for juvenile offenders, for example, will be rehabilitation rather than punishment. Still, the consequences for even juvenile offenses can be harsh, especially when the court sees young offenders committing serious felonies or using extreme violence or deadly weapons in the course of committing crimes. This is why it’s so important to hire an experienced Houston juvenile appeals attorney for your case. When decisions like this are made, or any decisions regarding the outcome of a legal proceeding for that matter, there is always the possibility that the wrong decision was handed down by either the judge or the jury. It is in these cases that corrections may be sought through the appeals process. This process is very familiar to our Houston juvenile appeals attorney. In Texas, as in other states, the Court of Criminal Appeals has final jurisdiction over all criminal matters except in the case of juvenile proceedings. Juvenile crimes proceedings are considered civil matters, even if a criminal act is involved. 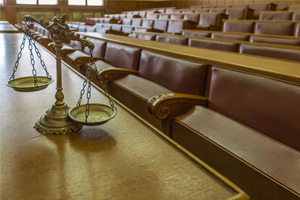 Except in those cases involving sentencing of capital punishment or denial of bail, the Criminal Appeals Court exercises discretionary reviews over cases presented to it, meaning that it may choose whether or not to review a case at all. A juvenile must be read his or her Miranda rights if placed under arrest. A juvenile has the right to have an attorney present during questioning. A juvenile has the right to know the specific charges being brought by the State. A juvenile has rights against self-incrimination. A juvenile has the right to confront his or her accuser and examine witnesses. A juvenile has the right to appeal the court’s decision. A juvenile has the right to a jury trial during the adjudication phase. You should be aware that the juvenile court system tends to move much more quickly than the adult court system, so it is important that you do not delay in hiring a juvenile appeals attorney to represent your child’s legal interests. Call Houston juvenile appeals attorney Paul Darrow today. Paul’s experience as a former prosecutor brings a wealth of experience to his practice as a juvenile appeals attorney and gives him the advantage when it comes to achieving results for his clients. If your child has been wrongfully convicted and needs an appeals attorney, the Darrow Law Firm P.C. is the best one to have on your legal defense team.